On Tuesday, Stunning Stitches officially entered the world. This book has been an absolute blast to work on, and I'm excited to tell you all about the patterns. For the next few weeks, I'll be posting about the patterns here on the blog, sharing what I love about each one. To start, this book was born from the idea that some stitch patterns are too pretty to use just once. So, why not use them more than once on accessories we all love? Sounds like a plan to me! The book contains 7 sets, each set has 3 patterns. Every set focuses on a stitch pattern I truly adore. The stitch pattern might be used in slightly different ways in some of the accessories, which made for a fun challenge for me. 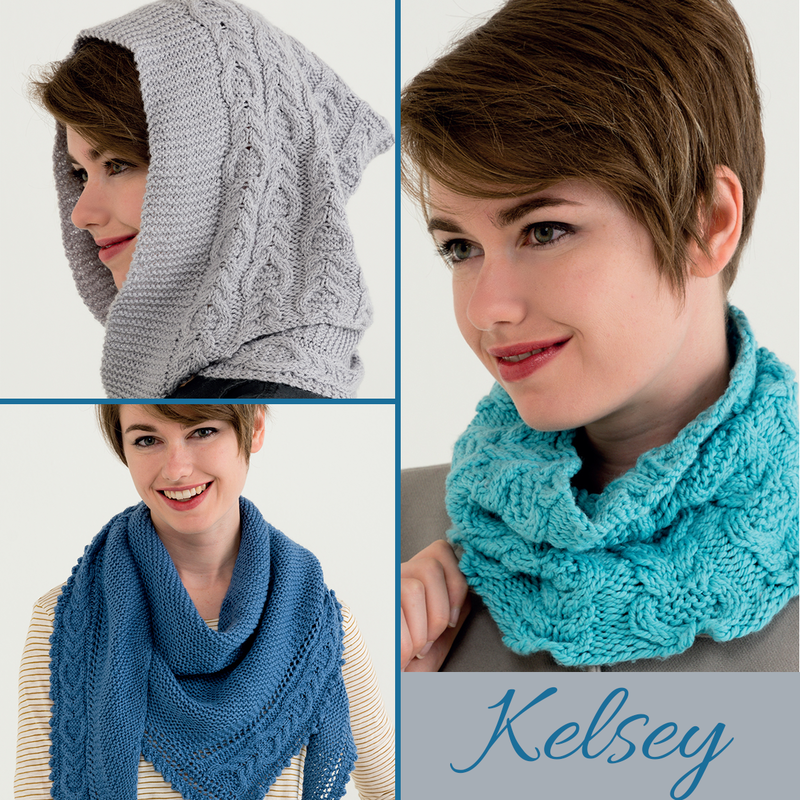 First up, is the Kelsey Set. The Kelsey set highlights a beautiful garter stitch cable pattern. 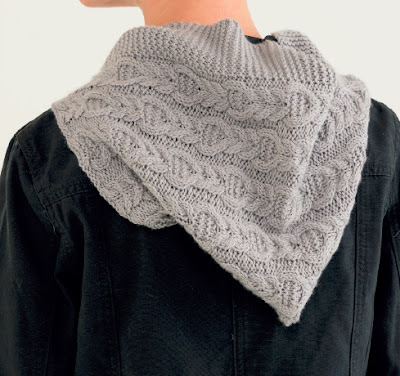 I used it on a shawl, a cowl, and a hooded scarf. For the Kelsey shawl, I used the cable pattern as a panel, worked along the edge of a sideways shawl. I added little bobble details along the edge, maximizing the knitting fun! 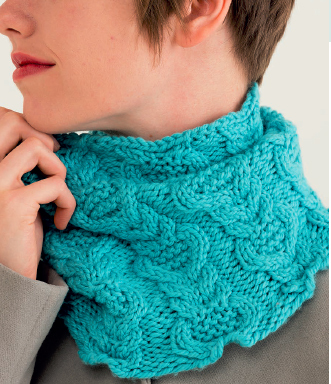 The cowl is a traditional cowl, knit in the round. Knit in Stitch Sprouts Crater Lake makes it a super quick knit. I love bulky yarn with cables. And the Crater Lake is amazing and really makes those stitches pop! Instructions are included on how to make a larger infinity scarf if you like. And then there is the hooded scarf. I've been wanting to design one of these for a long time. It's the first one I've made, but it certainly won't be the last. 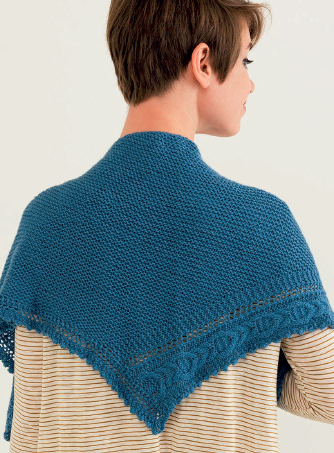 Like the shawl, this is knit in Stitch Sprouts Yellowstone. The stitch definition of this yarn is incredible. Seriously, I need to make all the cable things with this yarn. The scarf is worked in one piece, with a seam added at the end to form the hood. it was surprisingly easy to make! 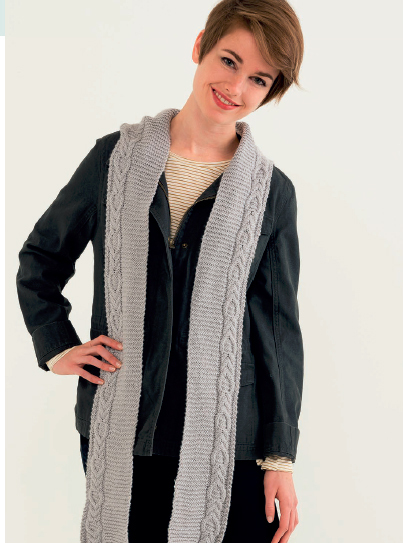 Cables and garter stitch - a match made in stitch pattern heaven! Want to see more from the book? You can see all of the patterns on Ravelry here. Or, stay tuned to the blog for more!